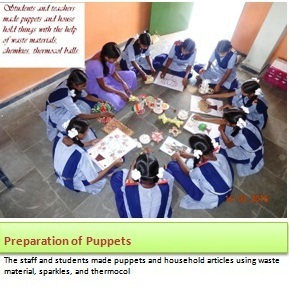 The students were trained in making household items like detergent and disinfectant solutions by Mrs Karuna Kumari. She neither charged for the class or the use of material. It was a hands-on experience where they could make these items at a low expenditure. It could be a source of livelihood for a few families. Staff and students of Matendla school, actively participated in the Art and Craft mela for three days. Using waste and low cost material they have prepared attractive decorative pieces and also some useful items for the school office and classrooms. Clean water saves lives. 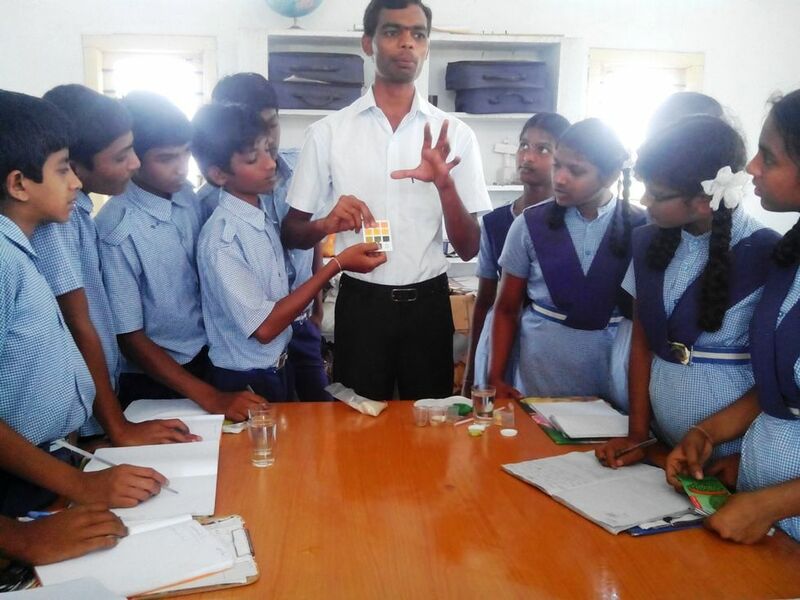 And thanks to a simple experiment kit the children at RDF School, Redlawada were able to check the pH of the samples of water from various sources to check if it was potable. The importance of clean drinking water cannot be overstated when it comes to improving the welfare of the community. And it is best to teach the young that water is not just a scarce resource, but the quality is as important for good health.